Reactors are required for the suppression of power surges in electric drives, suppression of harmonic distortion and overvoltage protection. We manufacture iron, ferrite and air core reactors, everything from small components to large and heavy industrial requirements. 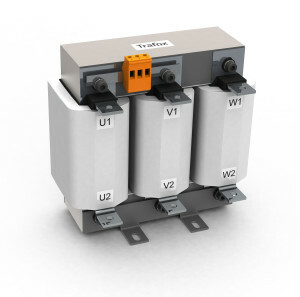 Trafox reactors, such as frequency converters, detuned, line, and water cooled reactors, have been designed to be reliable and have low power loss. Reactors are used in different kinds of industrial, construction, energy technology and marine applications, such as frequency converters, electric vehicles, power supplies and electric motors. The features, dimensions, structure and mounting options of the reactors can be tailored according to the customer’s objectives and needs. We are continuously developing our design, certification and manufacturing methods in order to respond to increasingly demanding challenges.